1. I think, I better pen down my thought again as I may quickly gain gradual memory loss as the premature neuronal loss is inevitable as time passed by. If I am allowed to foresee the future of Malaysian people, I believe we Malaysians are at the junction of political and socioeconomic transformation. This is a normal phenomenon in life since life is a dynamic process. 2. In a way, my life as clinician and academician is bestowed with blessing. Thanks to Allah for allowing me to breathe and feel the pulsating life through a telescope and microscopic lenses. There are instances when I am involved with policy formulation. Certainly, policy formulation requires far-sighted decision making which demands viewing problem at telescopic level. On the other hand, when a patient comes to me and she presents with items of life baggage which she can’t handle. I treat and manage her problems at the microscopic level. The satisfaction to help others in many different ways is what I define as the blessing. 3. I believe to achieve balance in life, an equilibrium between work and family life has to be sought after. Otherwise, miscalculation creates dysequilibrium and leads to crisis. 4. Dr. Kathleen Hall, an internationally recognized lifestyle expert in stress said: “We have overstretched our personal boundaries and forgotten that true happiness comes from living an authentic life fueled with a sense of purpose and balance.” Achieving balance and moderation has always been one of the objectives of the spiritual masters of the past and will remain so in the future. 1. 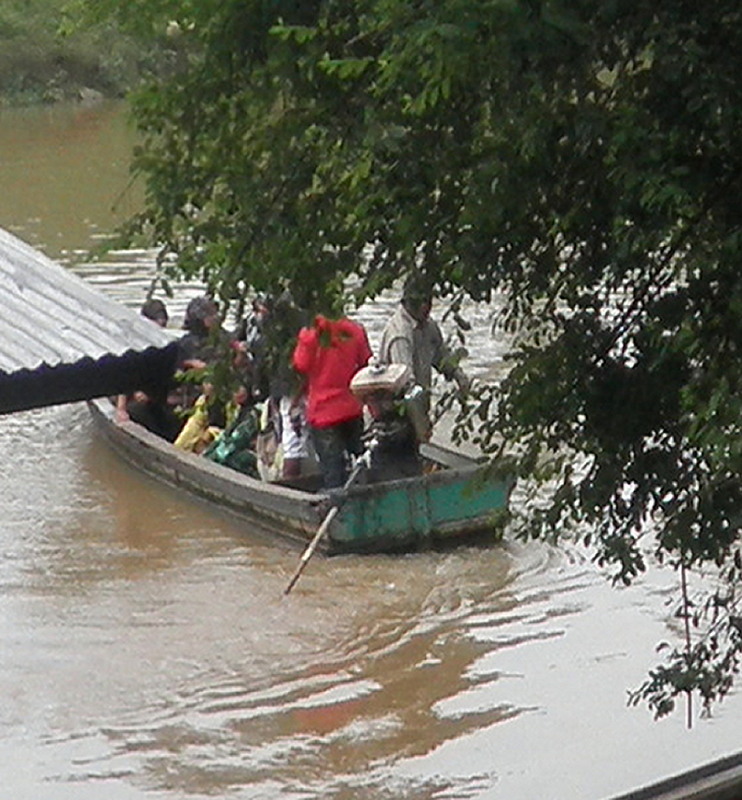 Kelantan, the northeastern state experiences the worst ever flood in many years. The tragedy evokes many devastating images on Facebook. I stayed for 16 years in Kubang Kerian, behind the royal palace or infamously known as Istana Air Mata. Never before my house was flooded since Kubang Kerian was considered a safe haven. There is a river behind HUSM which runs along To Guru’s house in Pulau Melaka that eventually meets the South China Sea. Not uncommon to see the river overflows; covering the nearby fish pond during monsoon seasons. 2. Dr. Newton, the old friend of mine, used to bring me to his house, near Kelantan river mouth. 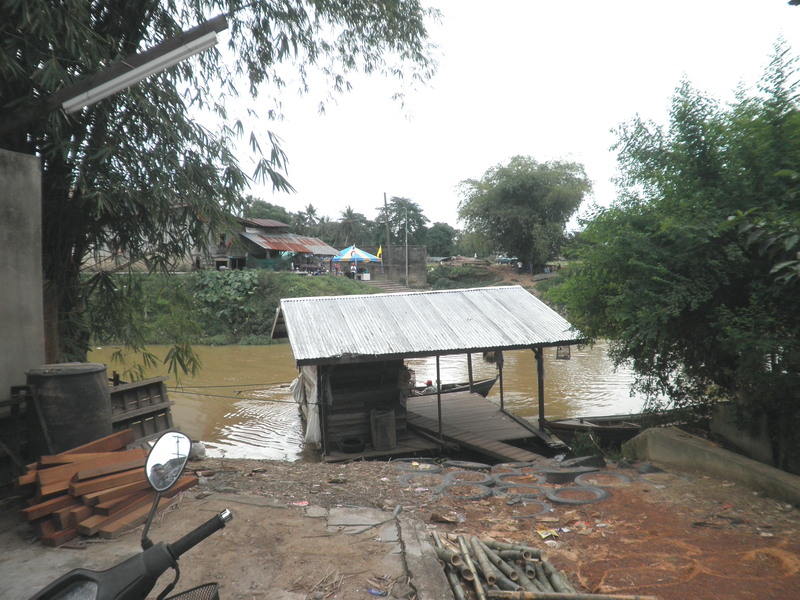 To get to his house, I have to travel via Pengkalan Chepa airport and turn left into narrow, impoverished village roads. More often than not, I would witness families with small children, watching plane; arrival and departure, near airport runaway, experiencing fresh breeze of northeastern wind, directly from the sea. 3. Recent disaster is unthinkable. I am sad because I can’t help the people the way many volunteers do by going to the ground zero and provide direct help to people building their lives which have shattered by the disaster. I know there are many volunteers risking their life and comfort, helping flood victims without expecting any rewards and adulation. 4. I believe major disaster like this has multifactorial origin; be it internal or external. 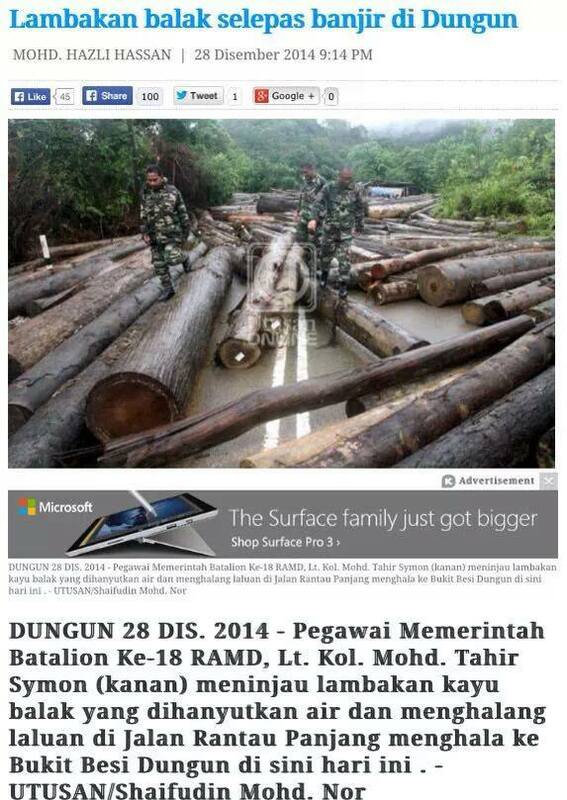 Web search has shown massive deforestation in Dabong, Galas, Manik Urai and Lojing. I guess, putting all together, they are as huge as Perlis state. I wonder who is responsible for awarding logging permit and making sure the company logs within the permitted area? Deforestation leads to collected water run downhill quickly overflowing rivers, stream and eventually low lying towns and villages. No time for water absorption as the catchment areas have long gone and perish. Deforestation theory is justified by the presence of tea colored flood water, thick mud and dust as well as massive logs stranded in front of dilapidated houses, in the aftermath of the calamity. 5. I was made to understand that this year phenomenon was made worse due to increasing sea tides, resulting from increasing distance between the earth and the moon. 6. A large amount of rain falls over a short period of time contributes to the flood as many clogged drains can’t cater the excess water volume in the state that is infamously known for having poor irrigations system. 7. Precautionary measures should include developing early warning system and enhance weather forecast ability. Short-term plans include building temporary shelters, giving physical and psychological first aids and post-trauma management. 8. Mid-term plans include building schools, hospitals, and flood relief centers on the high ground especially in flood-prone areas and concerted effort to clear clogged drain and stream. Helicopter landing pads must be built in rural hospitals. First aids, communication and logistic equipment procurement, abundant food supply must be ready during monsoon months. 9. Definitive long-term measures include building dams, developing proper flood mitigating system like dredging and deepening river mouth. Training of human resources like lifesavers, paramedics, security and health personnel must be made available throughout the year. They have to be put on alert when the flood struck every year ends. Strong leadership and command will eventually lead to a remarkable success. 1. An old man was dumped near the roadside. The unknown had subjected this old man to torture by dumping him near the rubble dumping site. When he was rescued, he was confused and demented. 2. After several searches with the police and relevant authorities for about two months, we manage to get his identity and relatives. All I don’t understand is how a man in a ‘dump truck‘ (the unknown) who happen to be a big brother dare to throw away his own brother like throwing a cat near the roadside. Then spreading stories that he is living on welfare aid. For sure, I hope I am wrong and I need another side of the story. 3. Elderly abuse is not a new phenomenon. A Malaysian survey has shown an alarming statistics. 636,461 elderly parents have been abandoned and did not receive support from their children. A new Mental Health Act 2001 makes a compulsory regulation for children to take care of mentally ill parents. 4. The government must help to ease the family burden by formulating Mental Health Benefits Act. Malaysians require some level of coverage to be provided for patients with serious mental illnesses. This group of patient needs some level of care which encompass their basic human right to live and breathe as we do. 5. Now it’s the time to act, dear parliamentarians..
1. White is said to cleanse and purity, cool and calming. It works well in any colour combination. My wife dislikes white because the colour can easily get dirty. Second reason is because it reflects so much light and hence shows every imperfection. 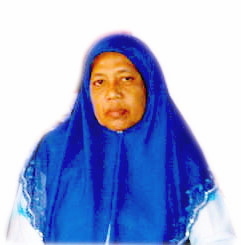 In photo editing, white is best used when the background is dark. 2. Red symbolizes energy, warmth, and passion. That’s why I use this color to motivate me since it symbolizes passion. 3. Blue is calming and relaxing. I don’t know how it becomes the color of our security force. How are you going to answer if people were to ask you which sides are you on: blue or green? 4. Green indicates calm, well-being and religion. My family baju raya will be in hijau pucuk pisang (green banana shoot). I think it is a great choice because I want to feel calm and restful. 5. I believe it is important to choose the color that can change dramatically the visual proportion of one’s size. At the same time, color indicates the mood and atmosphere that one needs to create. Green grass or golden green do not serve that purpose. Venture into something different like writing on the net, is very exciting indeed. Many don’t realize the roomy feeling due to endorphine released while pressing the button publish. Writing comes with heavy responsibility. Self-censorship is vital. It is my idea about the world I live in. Of course, I need to see and observe others to come out with my own ideas. I am not Socrates. Basically if I borrow ideas from people, I have to acknowledge either by giving compliment or Thank You. Sometimes in a hurry, I forget. That’s human nature. If I write in full sentences, it is simply a process of training my mind which use to think in my native language. It is about the ‘software’. The advise is use short and simple sentences. Short post, less mistake made. Difficult task until today…still learning. I like writing, not listing. I enjoy training my mind to construct ideas rather than constructing lists. I’ll try putting more pictures but I am not a professional photographer. I publish every day. That makes me a consistent writer and blogger. It just take 10 minutes to write simple posting. It is just a candid idea. My blog in English was viewed 4 times higher than the Malay. The lesson: write in English. Yes, the art of good writing is editing. 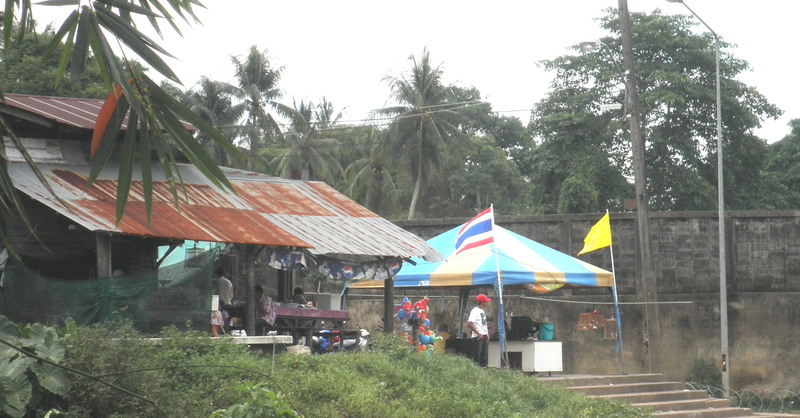 Just few kilometres from Custom and Immigration checkpoint, lies the ‘illegal jetty’ where local people who are either of Malaysia or Thai citizens or both move easily criss-cross the two countries. 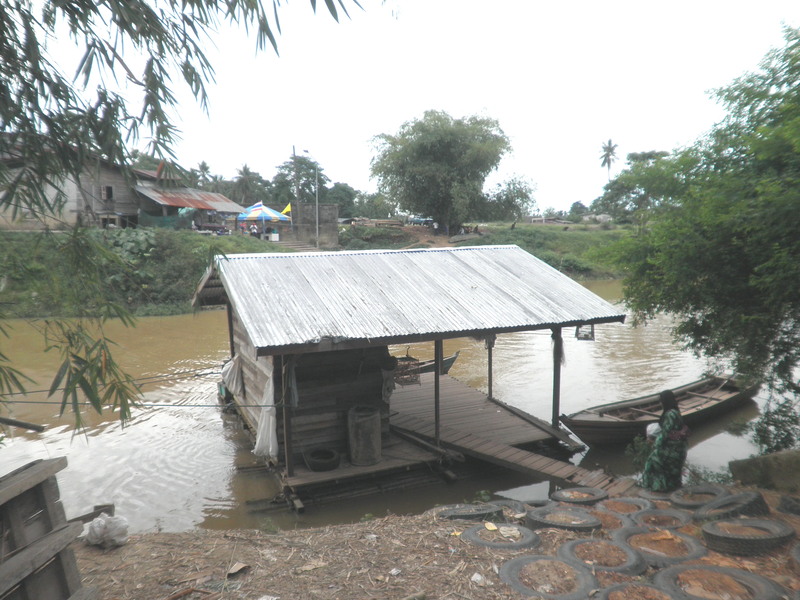 Rantau Panjang, a small border town on the Malaysian side is annexed to Sungai Golok town on the Thai border; divided by a small river that often flooded in the monsoon season. This jetty that lies behind a row of shop-lot, is pretty much off-limits to tourist. I remember, a friend from Manila, an external examiner who joked saying that he’d never been to a border town in the Philippine. True enough, Philippine has no border town. Interestingly, soldiers are just watching from both sides on activities going on without muddling much on the livelihood of the people. When I was a child, I remembered my mother used to grind spices using batu giling. It was a hard work, each time she prepared us curry. She sweated even before the real cooking session started. Those days, having served chicken curry was a luxury. To catch chicken is a half-day work. My brother was given a task of chasing them; he was pacing up and about the small compound, trying to tame down the roosters and yet his voices were heard throughout the whole kampung. Mother is the best chef I ever know. I used to tell my wife: I like your cooking, but my mother’s cooking is still the best. To my surprise, she never jealous over my mother. She knows simply, like it or not, I have to surrender eating her cooking. When my mother was dying in my hospital, my entire family and I went for our daily visit. I remember, sleeping on the floor almost every night, watching the computer screen and doing my work while she was sleeping on the hospital bed. I knew her last moment has came up, when I correctly called my sister to return back to the hospital even though she had safely reached her home in Seremban. Once she and her family reached the hospital, my mother exhaled her last breath. Today is a Mother’s Day. I know I would never met my mother again. But all the thoughts about you raced my mind as I ventured closer through pictures and albums.. I knew all I witnessed is my past memory. And tears dropped from my eyes..Al-Fatihah.